This article has been in the making for some time. 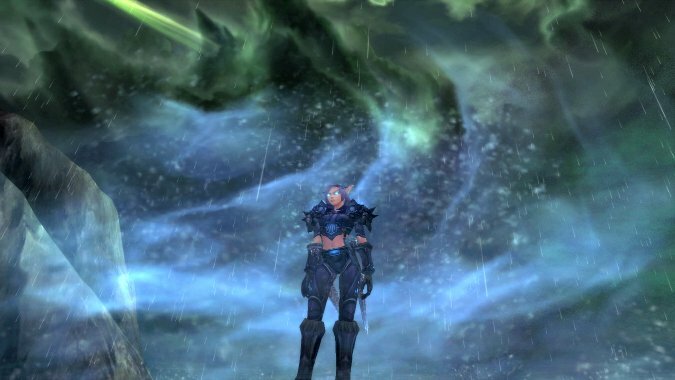 In my previous column, I focused on the proposed rune revamp that is slated for Death Knights in Legion, with the intent that the followup column would serve as an analysis of the preview blog for our class that was released on the 11th of November. As I began the process of writing it however, I noted that I had to frequently rearrange portions of my analysis to account for the flurry of tweets from the @WarcraftDevs account, since many contained clarifications and even contradicted parts of the blog. 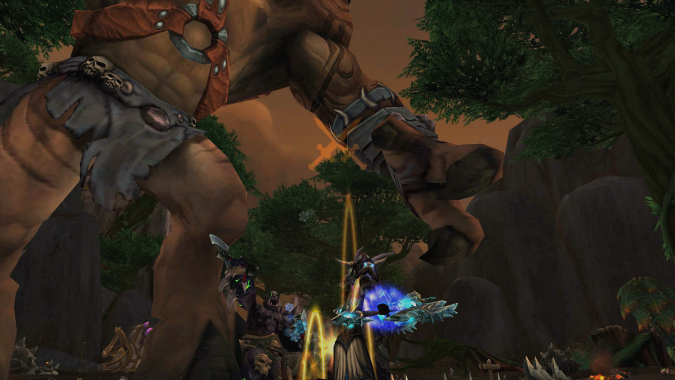 Then, to top matters off the Legion alpha test and subsequent datamining journey began — I was among those fortunate enough to receive an alpha invite in the first wave that went out, and have steadily been exploring 7.0 content ever since. Why am I listing things that all of you probably already know? Because it’s important in understanding the manner in which I’ve chosen to structure today’s column. It will therefore come as little surprise that my first act on alpha was to procure all three Artifact weapons for each spec along with some superficial testing of various mechanics. The most important conclusion I was able to come to may sound obvious to some, but never hurts to reinforce: As a class, we are far, far from being done. Specifically, it’s fairly obvious that our talent tree is in for more major iteration, and that it would be pointless to devote time talking about either talents or major abilities affecting by them when what we’re playing is likely long outdated internally. With that lengthy preamble out of the way, today’s column will address a topic pertinent to the 7.0 Death Knight that I feel is in enough of a stage of development (its base concept, anyway) that it merits feedback and discussion: AOE. If there is one class paradigm that has seen a fundamental change to nearly the same extent as the rune system, it is the way in which Death Knights now deal AOE damage. Despite many similar sounding ability names, there is a world of difference between how each spec deals AOE damage on alpha compared to live. Why am I choosing to focus on AOE before single-target rotational changes? Because, as I noted above, talents seem primed for further revision — enough to the point where I believe that we would be better served by letting the dust settle before delving into their effects on single-target rotations, given that they affect them to a greater degree than AOE. Let us consider how each spec’s intended rotation (sans talents) looks so far, and how this contrasts with what we see in Warlords. Howling Blast has traditionally always comprised the most significant portion of our AOE damage, followed by Death and Decay and Frost Fever. 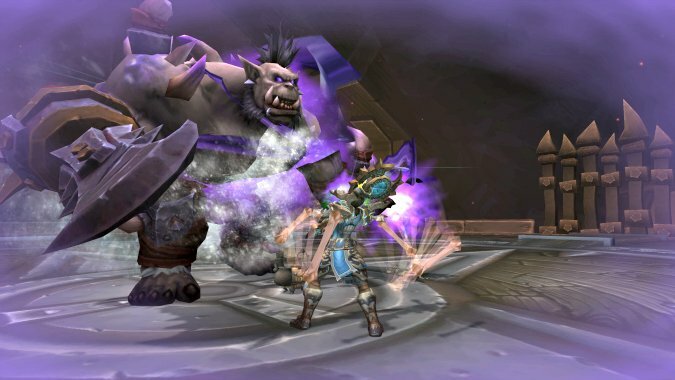 In Legion, Howling Blast’s actual functionality hasn’t changed but its role in AOE has been greatly diminished — to the point where, after a tuning pass, it is intended to deal roughly a third of the type of damage it is able to right now. This means that its primary function is to apply Frost Fever, since Blood Plague has been removed from the Frost tree, and also acts as part of our single-target priority when using Rime. Additionally, Death and Decay has been removed from the Frost Death Knight toolkit completely. To fill this void, a new ability has been introduced: Remorseless Winter (not to be confused with the existing talent, which could either get a rename or be removed). Remorseless Winter currently costs two runes, and emits a chilling aura that surrounds the Death Knight. It lasts 20 seconds, has a 20 second cooldown, and ticks for Frost damage every second. If aspects of this ability sound familiar, then it’s because we’ve encountered them before: Aside from costing runes, it is quite similar to the original incarnation of Unholy Blight (which was an AOE tool for Unholy DKs in Wrath that cost Runic Power). Finally, the Frozen Soul Artifact talent further empowers Remorseless Winter with an “explode” mechanic when its duration expires. Unholy has also received several changes. To begin with Blood Boil is now exclusively available to Blood Death Knights, so how does Unholy now apply and spread its diseases? Enter: Outbreak. An Unholy-exclusive ability now, Outbreak costs one rune and is on a six-second cooldown. It serves two functions: The first is to apply Unholy’s unique disease known as Virulent Plague to the target, while the other is to also turn the target into a “beacon” that will spread Virulent Plague to all targets near it for the next six seconds. This is intended to supplant the role formerly occupied by Blood Boil, in terms of the ability to spread diseases to other targets. Additionally, Virulent Plague has a fixed 30% chance to “erupt” and deal split shadow damage to all surrounding enemies (ala Wandering Plague). However, this disease only comprises a portion of Unholy’s AOE toolkit. The other major player here is Death and Decay — while it has been removed from Frost, its status has been raised to great prominence for Unholy and Blood. Death and Decay’s own damage, while impressive, is not the central focus here: Its new functionality now causes Scourge Strike to hit all nearby targets whilst in its area, so long as the Death Knight remains within the effect’s radius. Given that Scourge Strike is intended to be balanced around single target use, it is likely that an effect granting it full AOE functionality (limited by placement, of course) is meant to comprise a large portion of our AOE. I consider Blood’s AOE changes to be somewhat of a midpoint between Blood and Frost. Like Howling Blast, Blood Boil appears to be getting marginalised to where its primary intention is to spread diseases and see some limited use in streaming add situations (i.e. not being a part of our active AoE rotations like it is right now). Instead, Blood DKs have received the same functionality as Unholy in regards to Death and Decay — Blood Strike will hit all enemies within close of the Death Knight as long as they stand within the effect. Additionally, Crimson Scourge no longer grants us free Blood Boils but instead resets the cooldown on Death and Decay. Now that we have basic AOE models outlined, what do I think? Keeping in mind that things are always subject to change, I’m going to be honest and say I’m disappointed with the mechanics behind how our AOE appears to be shaping up. While I commend Blizzard’s goal of “restoring the fantasy” to every class, I feel that that enthusiasm can also lead to decisions that lead to poor mechanical gameplay. In the case of Death Knight AOE, the single most prevalent theme we’re seeing is a very large removal of upfront burst. With both Blood Boil and Howling Blast’s roles having been diminished, Remorseless Winter acting as a constant ticking DOT for all intents and purposes, and Death and Decay being heavily dependent on placement, our ability to deal large amounts of upfront AOE damage has been limited. “Mag,” you say “Don’t other classes also have to deal with these types of problems? Also, aren’t you getting worried about numbers a little prematurely?” I’ll begin by addressing the second question, since it’s easier to answer: While it’s true that we aren’t anywhere close to a numbers pass on Legion mechanics yet, it’s also not unreasonable to predict the general breakdown of ability damage that we will see. As an example, considering that both Blood Strike and Scourge Strike are intended to be balanced around single-target usage can only logically suggest that their contribution to each spec’s AOE rotation will be significant. That brings me to my next point: I strongly dislike the idea of being constrained by DnD’s AOE reticule for my AOE. I don’t argue that it wouldn’t prove to be an important skill determinant, but that it’s ultimately one that doesn’t really appeal to me — not to mention that “Your strikes hit everything in range” reeks of a Warrior, Sweeping Strikes-type mechanic, rather than Death Knight abilities. But what about other classes? If they should deal with with these problems, shouldn’t we also shoulder our share of the burden? To be honest, I’ve never liked this type of reasoning — and it makes even less sense in an expansion dedicated to class uniqueness. If, for example, Death Knights must bear the dubious honour of being the least mobile class in the game (even Death’s Advance is now gone as an active sprint), then I see no reason for that same logic not to apply in its inverse and grant us the ability to enjoy an advantage in AOE that most other classes do not have. On a more positive note, it is good to see each spec’s disease get its own unique flavour and functionality. While I’m a little iffy about Frost Fever, I’ll reserve judgement till I’ve had a chance to try it out more. In the meantime, here’s hoping that a future build brings the large changes to talents that I’m predicting and that I have more news/analysis to share with all of you by then.